With over 19,223 participants, (12% more than the 2003), historic downtown Providence was invaded August 10-15 for the eighth Annual Rhode Island International Film Festival. 236 filmmakers, cast and crew from around the world came to exhibit their films, meet with distributors and compete for the Festival’s top prizes. The Festival is accredited by the Academy of Motion Picture Arts and Sciences as a qualifier for Oscar in the Best Short (Live Action) category. Sony Corporation sponsorship provided an Opening Night World Premiere screening with the latest High Definition projection technology. 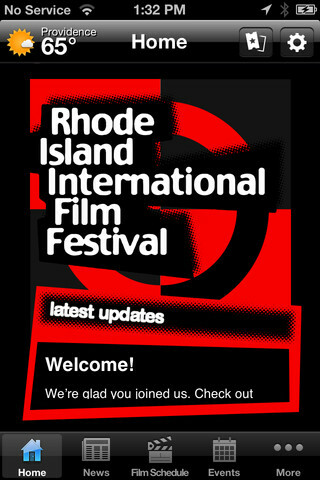 The Festival was cited by Chris Gore in “The Ultimate Film Festival Survival Guide, 3rd edition (2004), as one of the Best International and Short Festivals in the United States and "One of the most exciting new festivals to come along, Rhode Island International Film Festival aggressively supports its filmmakers." • 19,223: Record number of participants during the entire festival run. • 8: Number of sell-outs. • 273: Record number of films screened over the six-day course of the festival. • 1: Number of Emmy award nominations received for RIIFF Trailer and PSA. • 1,404: Number of room nights for the Festival. • 236: Number of filmmakers and celebrities registered at the Festival. • 1: LIFETIME ACHIEVEMENT AWARD to actor, Kim Chan. • 1: CRYSTAL IMAGE AWARD to actor/director, Zach Braff. • 1: RIIFF is the only Film Festival in the United States with a Grammy Award affiliation; providing nominations for best score and best composer. • 5: RIIFF is the only festival in the United States that is a truly statewide festival with film screenings in five communities: Providence, Westerly, Kingston, Newport, Pawtucket, and Woonsocket. 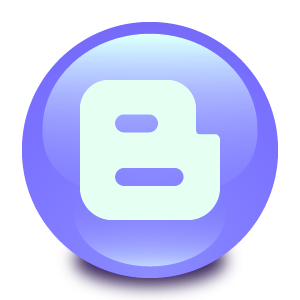 • 187: Number of screenplay applications. • 1,328: Number of Films entered in competition to the Festival. • 38: Number of World Premieres presented during the Festival. • 25: Number of United States Premieres presented during the Festival. • 15: Number of countries represented by attending filmmakers: India, Japan, Australia, Mexico, Spain, Italy, Germany, China, England, The Netherlands, Ireland, Argentina, France, Israel and Canada. • 118: Staff and volunteers working on the Festival. • 60: Number of countries represented in competition at the Festival. • 30: Number of educational programs and special events presented by RIIFF: KidsEyeTM Summer Filmmaking Camp; KidsEyeTM International Film Festival; ScriptBiz™; RIIFF Japanese Film Festival; Rhode Island Horror Film Festival; Take 1-2-3: Filmmaking with the Pros; RIIFF’s Annual Screenplay Competition; Wordplay™ Screenplay Reading; Open and Closing Night Galas; Between Takes™ Morning Forums; Closing Awards Ceremonies; Borders Festival Preview and Bookfair; Cinema Cafe; Annual Master Class Director’s Dinner; Annual RIIFF’s Sponsor’s Reception; Creative Impulse Awards; Filmmaker Mixer and Receptions; Human Rights Watch Film Festival; Picture Start; RIIFF’s Silent Film Series, RIIFF Best of Festival; Cinema Rhode Island screenings; Friends of the Columbus Theatre Events; A Conversation with Andrew McCarthy; RIIFF/Flickers Internship Program; You Be the Judge Nights; Rhode Island Film & Media Arts Alliance; DOCU-Fest; and the Jubilé Franco-Américain. • 22: Number of venues throughout Rhode Island where films were screened and festival events took place. • 10: Number of special niche sidebars and programs: Providence Jewish Film Festival; Providence (Homegrown) Film Festival; Providence Gay & Lesbian Film Festival; Women in Cinema; New Director’s Showcase; Cutting Edge Cinema; Providence World Film Festival; From the North Country —Canadian Showcase; KidsEye™ International Film Festival, and the Student Filmmakers Showcase.